At the request of a Disappearing Budapest reader, Vanessa, I have added my literal English translations of Szomorú Vasárnap; the lyrics by Jávor László and also composer/pianist Seress Rezső's own war lyrics. Both translations, along with the original Hungarian, are given at the end of this (long) article. In 1927, László Jávor wrote the lyrics to a melody composed by Rezsô Seress, a self-taught pianist who played in restaurants Kulacs and Kispipa in Pest’s District VII. It was called Szomorú Vasárnap (Gloomy Sunday) and became known as “The Suicides’ Anthem”. (Sad Sunday, with 100 white flowers, I waited for you dear with a church prayer). Meghalt a földön az emberi szeretet”. (It is autumn and the yellow leaves are whirling, all human affection has died on this Earth). The world-famous English version has been recorded by many artistis, among them Billie Holiday, Louis Armstrong, Sammy Davis Jr, Paul Robeson, Elvis Costello, Sinead O’Connor, Ray Charles, Acker Bilk, Tom Jones, Oscar Peterson, Maurice Chevalier and Josephine Baker. It has been recorded in more than 100 languages, including Chinese, Icelandic and Esperanto. Not where the black coat of sorrow has taken you”. The rising and falling melody lines convey first hope, then disappointment, sadness and despair. The song tells the story of a soul whose will to live has died along with her lover. It is so full of dejection and misery that it comes as no surprise to learn the original was Hungarian, a people with an ingrained melancholy and alarming propensity for suicide. In Hungary five people: a young lady Eszter Kis, a young clerk from the country, a young waiter, Margit Kovács a 23-year-old maid and László Ledik a ministry officer, took their own lives soon after the song was published. The suicides shocked the capital. Inspired by the song, each decided to end it all on a Sunday. According to legend, Gloomy Sunday has such a strange, magical atmosphere that those listening become so depressed they feel the urge to leave this world. “Hundreds of Hungarians kill themselves under the influence of a song” was an exaggeration. The song was published in 1935 when the world was suffering an economic depression on the eve of the Second World War. Gloomy Sunday, with its mournful c-minor melody, voiced some of the hopelessness of the age. Sigmund Freud regarded the song as a manifestation of his ‘Sonntagsneurose’ theory. In the United States, Gloomy Sunday clubs appeared everywhere and one senator in Washington tried to have the song banned. Coco Channel’s new creation, the pitch black "death costume", became world famous and a "Gloomy Sunday pianino" was built with two huge skulls as decoration. The song’s composer Rezsô Seress was called the ‘Whistling Musician’ because he couldn’t read music and played piano with only two fingers. Despite a fear of heights, he jumped out of the window of his flat aged nearly 70 in January 1968. He joined a long list of Hungarian writers, politicians, singers and actors who took their own lives. Count István Széchenyi, ‘the greatest Hungarian’ killed himself in an Austrian mental asylum. 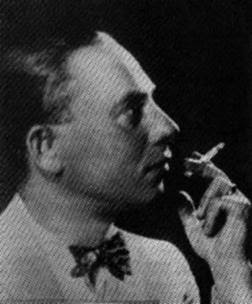 Hungary’s most talented poet, Attila József, threw himself under a train at Balatonszárszó in 1937, aged only 32. Actor Zoltán Latinovits, who was brought up in a District X flat near one of József’s homes and appeared to feel a link with the sensitive poet, also died in 1976 aged 44 under a train’s wheels at Balatonszemes, only a few kilometres away. In 1941, Prime Minister Pál Teleki, despairing at the future of Hungary, shot himself in the head in the Sándor Palota in the Castle District. Actor Artúr Somlay was driven to his death in the Rákósi period when the cultural minister József Révai refused to help him. The country’s first beauty queen, Csilla Molnár (Miss Hungary 1985), took an overdose of lidocaine. There are many many more examples. Hungary’s romance with suicide is long and painful. Until 1994, Hungarians were top of the list for suicides. In 1986 the rate was 46 per 100,000. Now, with the release of figures from the former Soviet Union, the country has dropped significantly in the charts, but this small nation, linguistically isolated with a complex history of occupation and intimidation and a severe alcohol problem, still has a strange fascination with suicide. The suicides continue to happen, less frequently but still with the same result of shock and dismay. For the family of 17-year-old Viktoria Éles, her early suicide was more than yet another number on a pile of statistics. Viki was a fan of Jimmy Zámbó, the pop singer who tragically shot himself in the head in an accident on January 2 this year (2001). Viki had been a fan since she was 14. For three weeks after the star’s untimely death, she sat in her room with the curtains drawn to keep out the light, playing his records. Viki had been very upset at the funeral. She went to Csepel where the star was buried. She said her life was meaningless without Jimmy and that it was particularly distressing that he died on her birthday. Then on Monday, January 22, she left her room, a candle still burning on a bedroom table. As she left her flat in Káposztásmegyer (a housing district north of Óbuda, known as the “Harlem of Budapest”), Viki pressed a suicide note into a neighbor’s pocket. ‘I write to you all for the first and last time, don’t be sad that I have gone. I will always be with you in spirit’. She threw herself under the Budapest-Vác train. Viki wrote that the answers to every question could be found in Zámbó’s songs. Since the star’s death, she had filled two notebooks with lyrics, articles and photos. The last page read in big letters VÉGE - the end. A kulacs is a flask that a shepherd used to take with him to the fields. It would be filled with water or, more likely, wine. The Kulacs restaurant on the corner of Dohány utca and Osvát utca is famous because here self-taught pianist Rezsô Seress wrote the melody to László Jávor’s lyrics in 1927. Szomorú Vasárnap became Gloomy Sunday, a haunting hit for Billie Holiday amongst others. A pink marble plaque in the entrance hall commemorates the song and the first line ‘Szomorú Vasarnap, száz fehér virággal’ (Sunday is gloomy with one hundred white flowers). Now Gypsy bands play more uplifting melodies, led by some of the most talented primás (lead violinists) in town. The Kulacs has two rooms in which to sample hearty Hungarian fare. The vast well-lit dining hall, where the band holds sway, seems more appropriate for large tourist groups and wedding feasts. It actually seats 120 guests. The smaller, darker room is appropriately called the Seress room and is lit by candles and the glow of a barrel-shaped ceramic stove. Whips, tankards, cartwheels and farm implements decorate the walls and the wooden fencing and red embroidery gives the impression you are on the Hortobágy plains. For our light business lunch, my companion and I both plumped for the cream of celery soup (390 forints), which was a gigantic bowl of piping hot soup with a good celery flavour which wrestled for attention with the taste of the sour cream. Together with huge crisp croutons it made a substantial opener. We sat in the larger room on this occasion and admired the redecorated walls. The light yellow colour is very uplifting and with the contrasting blue carpets makes a stylish atmosphere. If the smaller room is a rustic home on the Puszta, the larger room recalls the boardwalk at Coney Island with the yellow wood slats all around. However, an assortment of agricultural accoutrements can be found here too: A collection of kancsó (pitchers for sloshing out the wine), hollowed-out pumpkin water carriers, plates and dried sunflowers, strings of paprika and garlic dangling from the beams. The menu offers a vast range of traditional Hungarian fare. The dishes are described evocatively, with references to the region or to some historical or fictional character who particularly enjoyed his grub. Rezsô Seress’s favourite roast goose (Ft2,190) can be sampled and one wonders why he composed such melancholy melodies when surrounded by such delicious food. Starters include such delights as cold goose liver Mako style (1,390 forints) or the sailor fish salad (990 forints). Unusual main courses include cabbage gnocchi in honey or catfish (1,890 forints) marinated in Tokaji wine. The dishes are all very reasonably priced: Poultry costs between 1,500—2,000 forints, fish goes for 1,700—2,000 forints, while pork, veal, beef and game concoctions all weigh in at around 2,000 forints. With salads for 390 forints and side dishes at 290 forints, you can eat like a king without breaking the bank. I had the white fish with grilled vegetables which was perfectly cooked pieces of sole and an assortment of tasty huge mushrooms, spring onions, peppers, aubergines and courgettes. This was perfect for a healthy lunch that didn’t send me straight into a siesta afterwards. My companion also selected a lighter dish, grilled chicken breast with salad, and commented on how well the meat was prepared. Although famous for its traditional Magyar setting, history and cuisine, the Kulacs is branching out and organizing a series of gastronomic weeks featuring the food of different countries. From tomorrow (Friday) until November 25, a Gallic ambiance takes hold and each evening guests can enjoy Coq au Vin, Roquefort soufflé, salmon cooked in foil with tomatoes and herbs and an unusual combination of goose liver with brown rice. A photo exhibition of Parisian scenes will adorn the walls and the music will also add to the atmosphere. Desserts on offer will include crepes Suzette, Tahiti exotic fruit salad with Gran Marnier and the famous French chocolate mousse. A quotation on the back of the Hungarian menu announces ‘Nem titok az erôsségünk, háziasan sütünk, fôzünk’ (Our strength is not a secret, we bake and cook in a homely manner) and if they approach the French cooking with as much zest and enthusiasm as the traditional Hungarian dishes, then we are surely in for a feast. Metro M2 to Blaha Lujza tér.